These words will fill every “good” amateur with hope. Incredibly, they are the words of Oliver Naesen, one of the best riders of 2016. It makes his rise to the top even more impressive, considering he has transformed from a good amateur to world tour winner in just two years. If he can do that in such a short period of time, just imagine what he could do next! “In the younger categories, I was never great. I loved cycling since I started in 2006 but never got big results until 2013. Nevertheless, I always had fun and enjoyed everything about racing my bike. It all changed at the end of 2013. I started winning a lot of races, even a pro kermesse and still combined it all with a full time job. Then I started to think, maybe there is a place for me as a pro cyclist. All of this hard work was rewarded with a stagiaire deal with Lotto Belisol, in the summer of 2014. “They were very honest with me from the beginning how it was going to be. Lotto soigneur Marc Van Gysegem, a friend of mine, pushed Lotto to give me a shot as stagiaire on their team because he was convinced I could add some power to the team. For them it was unusual to take a stagiaire from outside their youth pyramid (Davo juniors, Lotto u23). But luckily for me, they gave me a shot. In June, Kurt Van De Wouwer called me to ask if I was up for it, which I obviously was. But in July, Walter Planckaert offered me a 2 year deal with Topsport. At this point I contacted Lotto and they were very open and honest with me. Even though I didn’t do one race for them yet, they were ‘normally’ only going to give one of the 3 trainees (Tiesj Benoot, Xandro Meurisse and me) a pro contract. And they told me it was going to be Tiesj. Which for me was normal because he is 4 years younger and deserved every penny they were going to give him. So I signed with Topsport before doing a race with Lotto. 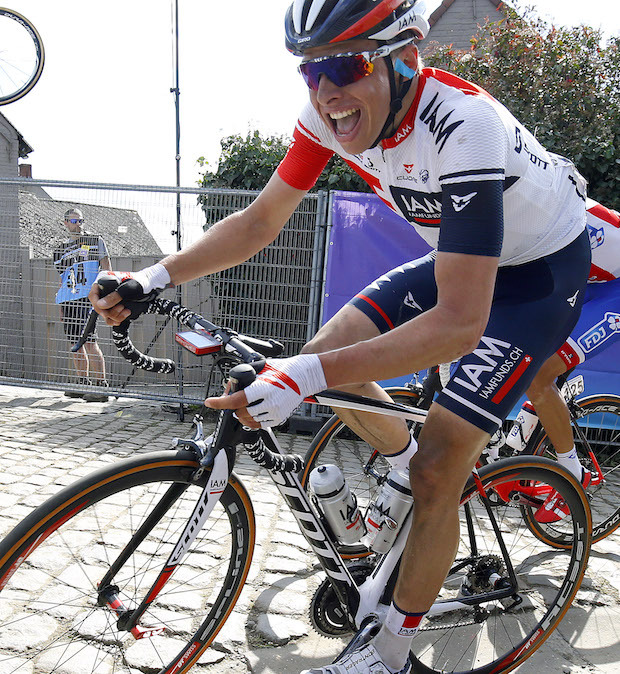 After just one season with Topsport, Oli decided to change to IAM Cycling, moving to the World Tour at the age of 25. He started the season with some low-key goals. Safe to say, he certainly did that. Oli’s season started well with an impressive ride in the Tour of Flanders and Paris Roubaix. “In Flanders, I planned to stay with the favourites as long as I could and that’s what I did. I was totally dead when I finished and I didn’t do anything stupid so I couldn’t do more. It would have been smart to anticipate like Dimitri Claeys did, but no regrets. Younger riders usually find it hard to be competitive in the longer races. Why not Oli? Having a good training group means a lot to a rider. Oli certainly has some quality training partners. IAM pulled a little surprise by selecting Oli for the Tour de France. Teams can be reluctant to expose a 2nd year pro to the hardest race in the calendar. They took a brave decision and it certainly paid off. “Since everybody told me to expect the worst, I did and actually… it was OK for me. Of course it’s the hardest race I have ever done but it’s a mental thing. If you expect the worst, it will be okay. If you expect it to be easy, it’s gonna be hell! Doing the Tour was the best thing I could have done and I’m very grateful that IAM took me there as a 2nd year pro. Having great “Tour” legs certainly helped in the second half of the season, starting with the big win in Plouay. “We went with 50km to go, with 4 others, in a good moment. Our 15 guy group was about to be caught by another same size group,so I knew there would be chaos. We all rode full gas and I had one of those days in which I didn’t get tired. When we started the last 15km lap, with a little over 1 minute, I was almost sure we would sprint for the win. And long time before that, I knew that if we made it, I would win. It was just one of those days about which it is all about. After a decent Canadian campaign, it was time for the Eneco Tour. A race well suited to Oliver’s skills. Oli has received criticism from some areas this season. Mainly due to his attacking style and his will to work hard. The amazing form resulted in the call to represent Belgium in the World Championships. Not bad for a 2nd year pro! Those that watched the race will remember the enormous pull from Oliver. It seemed that he was leading the peloton in all of the local laps. He eventually dropped off the front, just a few kilometres away from the finish. What a shift! With all his success in 2016, I wondered if Oli had changed. Motivation is a huge part of cycling. These guys have to go through so much pain, I asked Oli what motivates him. Pro cycling is all about learning. The best riders are always looking to improve and learn from their mistakes. What did Oli learn about himself in 2016? 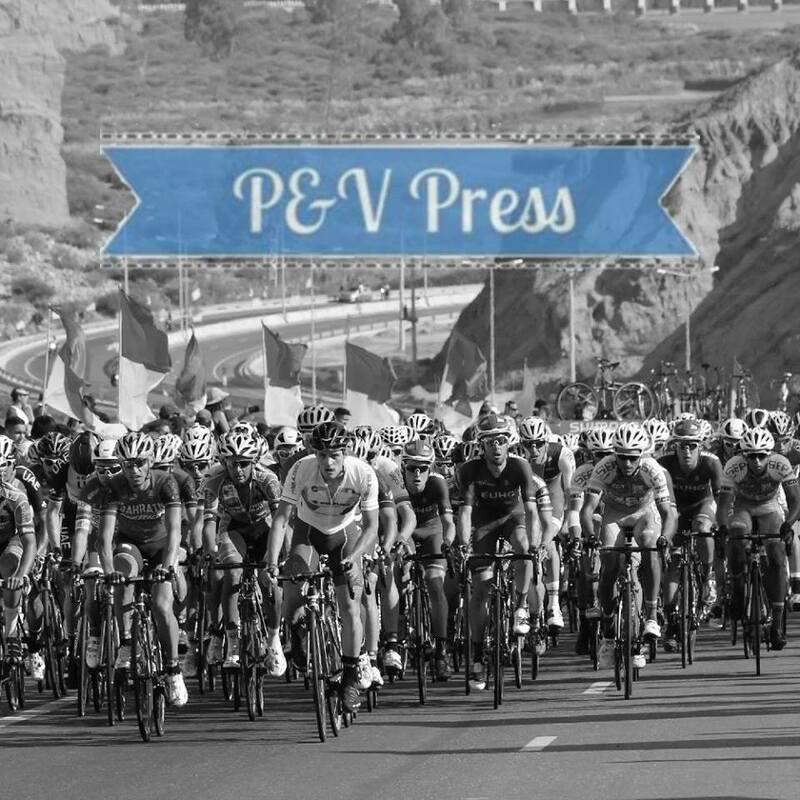 Despite all the high points, 2016 has been a tragic year in cycling, with a lot of riders experiencing terrible lows. First of all there was Daan Myngheer who passed away due to a heart failure at only 25, I didn’t know him personally but heard he was a great guy. Then there was Antoine Demoitie, he crashed in my group during Gent-Wevelgem and after the race I heard he didn’t survive this crash. I still think about him a lot. He was very friendly and I always enjoyed talking to him. He was also a very strong guy with a great future in cycling. In the Tour Of Belgium, Stig Broeckx, crashed with dramatic consequences. He’s still recovering from his accident and nobody knows if he will ever be the same again. I like him a lot, nobody carries more joy in life than him I think. With 2017 just around the corner, another move beckons. With the end of the IAM squad, Oli is off to join AG2R. In just his 3rd season as a pro, he will move into a team leadership role. I have no doubts he will handle the extra pressure with ease. Oliver Naesen is an outstanding cyclist and an all round good guy. If he makes the same progress as in previous years, we will be seeing a lot of him in 2017.